Landlords don't just collect rent checks. Successful landlords must understand the law, negotiate different personalities, and adapt to various problems that can pop up at any time. Here are five things potential landlord should consider, before taking the plunge. Landlords don't punch time clocks and work regular hours. While some days can be breezy, others may be labor intensive and exhausting, where obligations change on a dime. For example, you may plan to swing by the properly just to collect a rent check, when you unexpectedly encounter a tenant with a small plumbing leak, and you must decide to whether to disregard their situation, personally handle the issue, or call a plumber to assess the problem. In any case, if you decide to address the problem immediately, your ten-minute rent collection plans can quickly become a three-hour ordeal. There are rules governing the types of questions you may or may not ask perspective tenants. Fair Housing Laws dictate what is considered to be discriminatory behaviors. Strict laws govern the handling of a tenant’s security deposit. Housing safety codes must be obeyed for wiring smoke detectors and handling lead-based paint hazards. Health codes determine the correct ways to provide working plumbing and pest control. There are laws for evicting tenants. Intelligence is no substitution for experience, when it comes to being a landlord. Even in the best of situations, there will be inevitable bumps in the road. For example, an exterminator you call in for a mouse problem, may spot mold in a crawl space. Suddenly, a small problem becomes a large and expensive headache. 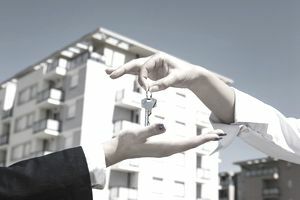 Experienced landlords are generally better at spotting clues to choosing higher quality tenants. For example, people who view the apartment on weekends or after normal work hours, are often more responsible and reliably employed. While a landlord's life can be stressful, it can also bring the reward of personal freedom that comes from being your own boss. There is also the potential to develop personal relationships with your tenants. The fact that you are able to provide a home for another human being is an accomplishment in and of itself.